Fetch compliments for your fine taste by wearing this beautiful saree from the house of De Marca. It has been crafted from good quality raw silk fabric that will ensure you utmost comfort for long hours. It also features an embroidered pattern which gives it a stunning look. 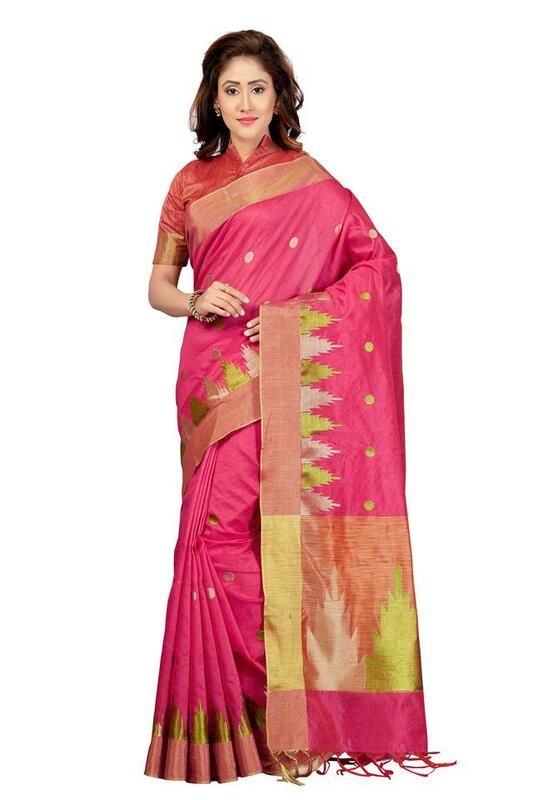 Be a showstopper at the next occasion with this stunning saree. Pair it with matching sandals to complete your party look.